Enjoy your dives with your own private dive guide. You will share the boat with other divers but you will have your own private dive guide who will take care of your needs in and out of the water. 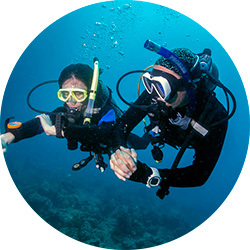 Either you are a little nervous or it is your first dive in a while or maybe you are in a family group with different levels of certifications, furthermore you may not wish to dive in a group with other divers and want to dive on your own – choosing a Private Guide is therefore a great option. Private dive tours are especially relevant for underwater photographers. Charter one of our dive boat for your diving adventures here in Cabo. 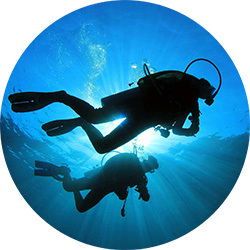 The charter comes with your own private dive guide in addition to all necessary dive equipment rental. Furthermore if you travel with friends or family members who don’t dive there are welcome to ride along and snorkel. in addition we also offer catering service on our private dive charters. 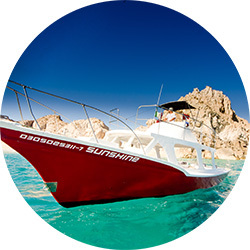 Enjoy scuba diving and snorkeling in Los Cabos on your own private dive boat. There are 2 boats to choose from.